Spring is still tentative where I live — we've had a few lovely days here and there, but plenty of days where there's still a decent chill in the air. If you're like me, you'll do your best to pretend it's sunny and 70 degrees even when it's not, so it's time to put away your darker, richer iris perfumes and reach for lighter, happier variations on the theme. Below are my five favorites for spring, and if you missed them, do see my list of iris picks for summer, iris picks for fall and iris picks for winter. Next up: a year of vetiver. Do add your own picks in the comments! Hermès Hiris: I am still hoping perfumer Jean-Claude Ellena will do a flanker for Hiris before he retires, but meanwhile, Olivia Giacobetti's 1999 original, in the lovely blue bottle, with its metallic-carrot opening and little whisper of hay in the background, is just right for a sunny spring day. Honoré des Prés I Love Les Carottes: Yes, Giacobetti gets two entries, and she deserves them. Here she takes the little undertone of carrot in Hiris and puts it front and center. Admittedly, Les Carottes might test even an avid iris fiend's tolerance for the root-vegetable side of iris, and I considered it for the fall list but left it off. Now that it's spring and time to start turning over last year's soil in the vegetable garden (we already have arugula up and nearly ready to harvest) I cannot resist. What other iris smells like "a carrot martini with a twist of citrus peel"? Chanel 28 La Pausa: Looking for a more elegant take on iris for spring? Chanel's 28 La Pausa takes the iris out of the vegetable garden and into pearls-and-a-twin-set territory. It has a price to match, and frankly, it doesn't last, but it's pretty close to perfect while it does. If I could have just one full bottle from the Exclusif collection at Chanel, this would be it. The alternative, of course, is Chanel No. 19, but I have not yet been able to make myself love Chanel No. 19. Never say never! Guerlain Après L’Ondée: This 1906 masterpiece from perfumer Jacques Guerlain is arguably the quintessential springtime fragrance. It is admittedly less directly focused on the iris than any of the other fragrances I've included in this series, and certainly it's the most melancholy of them all, but what can you do? I have not tried a new bottle in ages, do comment if you have. The vintage Extrait is worth seeking out if you can get your hands on it without having to take out a second mortgage. Naomi Goodsir Iris Cendré: A bit of a cheat, as I probably would have included it in the fall or winter posts if I'd smelled it in time (and many thanks to the perfumista fairy who sent me a sample! ), but Iris Cendré is not so heavy that you can't wear it even as the weather starts to warm, and it's a perfect fit for a chilly spring night. Angie likened it to "a medieval monk who works in the garden during the day and faithfully attends incense-laden vespers, but who enjoys the comfort of his pipe and armchair in the wood-paneled library", and I cannot do any better than that. Note: top image is Iris sanguinea [cropped] by houroumono at flickr; some rights reserved. I think I’ve just fallen in love with Iris Cendré! 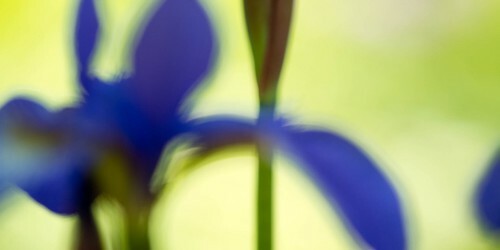 I would love to see what’s a popular iris that is light and bright. Iris fragrances don’t agree with me (most that I have tried have been scrubbers). Maybe the ones I have tried were too heavy. I’m still open, but iris is a hard note for me to like. Any suggestions? Chanel 28 La Pausa is my all-time favorite perfume and a perfumista gold standard (I have found?) and an easy to wear crowd-pleaser. I would recommend trying that one — if you don’t care for it, you probably just don’t like iris that much — which is fine! I think it is mine, too. I rue its fleetingness…but perhaps that makes it even more springlike. Have you tried Prada Infusion d’Iris? It’s not at all rooty or carroty if that’s what doesn’t agree with you about iris. It’s also not at all heavy, though I don’t know if you’d call it “bright” (can’t think of an iris I’d describe that way.. I don’t think that’s how iris rolls). Also, if you haven’t tried it, check out Frederic Malle’s Iris Poudre. It’s more violety floral/aldehydes take on iris. The aldehydes make it probably as bright as iris is going to get, and it is really pretty. I also don’t think of it as a season-specific fragrance. I’ve worn it in all kinds of weather, though I don’t think I like it as much when it’s cold as the aldehydes get a bit starchy in the cold to me. I think Atelier Cologne Silver Iris is also worth trying (unless that was one of your scrubbers, of course). It has the rooty thing at the beginning a bit, but it’s ultimately a sweeter floral, with mimosa and other stuff I can’t remember. Thank you guys! I will definitely seek out the suggested scents mentioned. I have some No 19 from the 90’s, my favorite Iris. No 19 poudre doesn’t get much love, but I love it. I am interested in trying Fragonard Iris, which may be easy on the wallet. Apres L’Ondee and I never got along. Try Prada’s Infusion d’Iris edp. It’s the 1st iris-centered perfume that I love. I consider it an iris-for-beginners as it’s easy to wear. Sorry. Darned phone. That was intended for Lovestosmellgood. Again! Ugh. No more commenting from an iphone. Its for scentfromabove! Lol! The bottle for the Fragonard is lovely too. I love iris, and Robin describes three favourites (Hiris, La Pausa, Carots). I did smell the Fragonard iris, and I have a soft spot for this house, but this on me it was an absolute scrubber. Why…? Maybe because it was too citrussy but not in a good way, and too musky and not in a good way. Lovely bottle though indeed. I found a bottle of Hiris in an antique store (for $45, which I think is more than it would be from a discounter) and sprayed a generous spray. Blegh! Worse than Infusion d’Iris! I get why The Guide was displeased. I agree with the rest of your list though, especially Apres L’Ondee. I actually have never smelled Les Carrots. I tried in vain to find Vamp a few years back withno success. Should have bought it when they went on discount. I would never in million years guess you didn’t care for no 19. My Hiris did NOT age well. You might indeed dislike Hiris (and Turin sure did) but would not assume that based on what you found in an antique store. Although “worse than Infusion d’Iris” of course means we do not have the same taste in iris! I know, I know — No. 19 ought to be perfect! It has all the right stuff! Leaves me quite cold though. Infusion is so fruity on me, but artificially. Like breakfast cereal fruity. I don’t mind it on others though I like d’homme better. I definitely detect some Fruity Pebbles. Hiris does not age well?! I have been trying not to spray it for the past six months — this is going to be nasty. I like its clean dust. Which formulation of No.19 has the clear iris? My EdP is towards the floral side, I think. Well, mine didn’t age well. That doesn’t necessarily mean yours won’t! Your storage conditions could be better than mine, or perhaps I unknowingly bought an already-old bottle, or mine could be a different formula than yours (it’s surely been reformulated once or more since it was released). And I don’t know, hope someone else will chime in! We bypassed spring entirely and went straight into summer. Love Hermes Hiris and its one I can wear year round. I’m itching to try the entire NG line but must rein myself in. If I remember correctly that line is quite spendy. VETIVER!! Can’t wait for that post!???? I am jealous — I am quite ready for summer to begin. I am realizing that vetiver will be even harder to divide by season than incense or iris — most vetivers are year-round, or summer-y. So will have to get to work and make some decisions. For winter, it has to include Vetyver by Lubin! If you like the Monocle series by CdG, you’ll love it. I’m stalking a bottle right now…. Ah, and pretty sure I tried that one at some point. I need to get LOTS of vetiver samples. Love iris – would add DSH Scent of Hope, in which the aloof root gets a shy smile with peachy lactones. Co-sign! I’m reminded that I must wear it! Iris Cendre gets my vote, along with the Prada and Après l’Ondée. And of course there is Iris Poudre and Iris Silver Mist all year long! I recently tried Hiris, even bought a decant, but ended up passing it off in the swap meet. I got the decant because I thought I liked it when I smelled it in Nordstrom. Not sure what happened between that version and the decant I got. One iris I tried that I’d like to get more of is Acqua di Parma Acqua Nobile Iris, the edt version. Maybe more summer than spring, but maybe both! It’s very pretty. That was pretty, and agree it would fit on the summer list. Yes, the newer one is what I’ve tried but now you’ve peaked my interest to seek out the discontinued one! Well it was very different, and got replaced with a likewise different EdP pretty quickly — so maybe a love it or hate it? Lots of orange blossom & anise. I get a lot of OB in Acqua Nobile version, not sure about anise. And I agree that it’s a pretty, cheery scent, probably both for spring and summer. I loved all your iris lists, Robin, thank you. And vetiver is hotly awaited. Orris ochre by Lys Zorn is a perfect happy nose-in-the-pollen scent. Lys says she’s bringing it back, and I’m stalking the site so that I could pounce on it as soon as it appears. Ah, thanks, have not tried that one. Considering some Hermès flankers: Rose Amazone, Equipage Géranium, Bel Ami Vétiver. Rose, geranium, vetiver seem like his favourite materials. It would be interesting to see ‘Hiris Pamplemousse’ lol. Don’t laugh, it could happen! He does like hay notes, and I would love Hiris with more hay, or a larger spring floral notes, or … ? Sort of doubt Hiris is next on his list though. Yay for Iris! Thanks for this great write-up, Robin. As for Apres l’Ondee, I have an approximately 3 or 4-year-old bottle of the EDT, and while it isn’t as glorious as the vintage extrait, it smells true to the fragrance to me — lighter, but not some sad, hollowed-out version of the original. Haven’t smelled anything newer than my bottle, though. So glad to hear it! I can’t remember the last time I smelled it in a store, but think it was years ago in Bergdorfs. I like ISM in very early spring when the snow is melting (and any other time of the year, frankly), otherwise La Pausa and and Apres l’Ondee are my perfect spring irises. Even if I don’t think of the latter necessarily as an iris scent, it’s perfect in any case. I have a new bottle and I suspect it might be even less iris-y and more cheerful than it used to be, but I have nothing to compare it to. Yes it is (another that leaves me cold)! I am not really a Chanel sort, although I adore Cristalle and do like a few of the Exclusifs. How about Dior Homme? I should be getting my discounted bottle shortly. I had a devil of a time finding it in the department stores – the Macy’s SA whipped out all the flankers and they all got the boot. Boscovs also only had the flankers. I finally spotted it at Sephora and it was love at first sniff. My antidote to 28 La Pausa’s lack of longevity is to use 8 sprays and it lasts all day. I wish for an extrait formulation. Apres l’Ondee – I got some in my early swaps and it smelled mostly like sharp alcohol. I need to get a fresher sample and it sounds like the vintage extrait is worth pursuing. I so enjoyed your iris series! I am also looking forward to a year of Vetiver. I don’t even know what Dior Homme smells like now — I understand the original has been redone several times over? But I should investigate. Was really hoping 28 La Pausa would get an extrait. Maybe it will still, we’ll see. I love lists and additions to lists. I also love Papillon’s Angelique as a spring Iris. Ah, I should try that one again! Nice list! I don’t love-love the far drydown, but I recently revisited my decant of Houbigant Iris des Champs and I think it would be a great scent for spring (or any season). I love iris everything, so I could go on and on, but I’ll stop with that one. Thanks! I admit I did not spend much time on the Houbigant — I think all I did was spray it on paper. Will try it again. All my favourite irisses in one post! Apres l’ondee excluded, to me it is more heliotrope and hawthorn than anything iris, and regrettably Iris Cendre didn’t work for me (but I will retry it!). I would agree AlO is not “about” iris — glad we hit some of your other favorites! • Carner Barcelona “D600” features Iris with vanilla, cardamom and a woody base. • Huitième Art “Naïviris” is based around African ‘red iris’ (which apparently is a tree) and zebrano wood. • Parfumerie Générale “Cuir d’Iris” pairs a leather-amber accord with ‘black iris’, whatever that is. These and 3 other non-Iris samples were waiting for me when I got home last night. I haven’t tried them, and won’t be doing so for another fortnight at least, so can’t make any recommendations. I have to add Divine’s L’Homme de Coeur. It’s cool, almost intellectual and rather aloof, but still just stunning. While it’s probably more winter than spring, it reminds me of the thaw between the two and is really fun to wear in summer because of the coolness in all that heat. Love that one — I put it on my fall list. Lovely post, thanks. I love Iris and have hoarded plenty of iris perfumes, mostly vintage No.19 which I adore.